A digitized acrylic painting of Peeta Mellark. 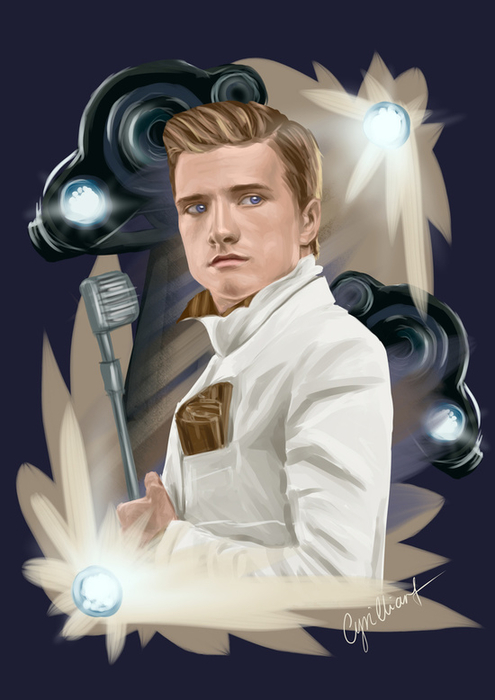 Peeta Mellark, a baker's son from District 12, is one of the main characters of the The Hunger Games trilogy. He is a very compassionate person and is good with words. He has been in love with Katniss Everdeen since the age of 5, but never confessed his feelings until he was reaped alongside her for the 74th Hunger Games.